Home What is Islam & Who was the Prophet Muhammad Pbuh? 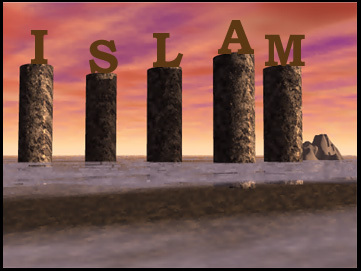 What Is Islam ? Islam is the second largest religion in the world with over 1 billion followers. There are around 2 millions Muslims in Britain, around 2.7% of the population. The word ‘Islam’ in Arabic means submission to the will of God. Islam is the fastest growing religion in the world. Indeed, one out of every five persons on this earth is a Muslim. There are nearly 3 million Muslims living in United Kingdom and the number is growing. Yet, unfortunately, Islam is also the most misunderstood religion. Muslims live in different parts of the world ranging from China to Argentina, Russia to South Africa. The country with the largest Muslim population is Indonesia. Islam means the active submission to the one God. It is strictly a monotheistic religion since it restricts worship to the one supreme Lord who is the Originator and Creator of the universe. Peace (the root from which the word Islam is derived) is attained through complete obedience to the commandments of God, for God is the source of all peace. Muslims are those who believe in one God and in Muhammad as the final Prophet of God. They devote their lives to the service of God, the Creator and Sustainer of the universe. Islam is the final religion revealed to human beings through the last Prophet who was called Muhammad. He was born in Mecca (in Saudi Arabia) in the year 570 A.D. Muhammad was a very truthful and honest person. He was also very pious and detested the moral decadence of his society. At the age of forty, God asked him, through the angel Gabriel, to proclaim the religion of Islam publicly. God’s message to humanity was delivered in the Qur’an which was revealed to Muhammad. The Qur’an, which is the holy book for Muslims, contains 114 chapters (called Suras). Muslims believe that it is the pure word of God, unadulterated over 14 centuries. It deals with issues that affect human beings in their earthly lives; issues like piety, upright human conduct, worship, the creation of a just and virtuous society and the practice of ethics. Islam has two major schools of thought – the Shi’a and the Sunni. The Sunnis believe that the community selected its own leader after Prophet Muhammad’s death whereas the Shi’as believe that the Prophet had appointed ‘Ali, by divine will, to be his successor. Leadership is thus divinely designated. It is to be noted that both the Sunnis and the Shi’as are united in their major beliefs i.e., they believe in the same God, the same book, the same Prophets and pray in the same direction. The differences are mainly theological and jurisprudential. Islam teaches that human beings are born pure and sinless. No one is responsible for, or can take responsibility for the sins of others. The doors of forgiveness are always open for those who repent sincerely. God continuously reminds us in the Qur’an of His infinite mercy and compassion. Muslims are enjoined to maintain inner spiritual purity through constant remembrance and prayer to God. Islam balances the spiritual dimension by emphasizing human responsibility. Human beings are created with a purpose. Attainment of piety is but one dimension of such purpose; playing an active role in the creation of a just society is another. Because Muslims attach importance to what happens in this world, they have made substantial contributions to the development of science, medicine, mathematics, physics, astronomy, geography and literature. Muslims like Avicenna and Averroes have played major roles in the advancement of science in the West. The first university in the world was established by Imam Jafar Al-Sadiq in Madina, Arabia. Many crucial systems such as the Arabic numerals, algebra, the first map of the globe and navigational maps were developed by Muslims and adopted by the medieval Europeans. Apart from human responsibility, Islam also teaches human accountability. The final destination of human beings is the hereafter. Muslims believe that, at the end of time, all human beings will be resurrected to account for their deeds. Those who have performed righteous deeds will be rewarded with eternal bliss in heaven and those who have performed evil acts will be punished in hell.